Home > Events > What do 100 Year-Old Pinot Noir Vines Taste Like? What do 100 Year-Old Pinot Noir Vines Taste Like? Created by Cistercian monks between the 12th and 14th Century, the Grand Cru Appellation Clos de Vougeot is Burgundies most iconographic vineyard and well-known wine, with its wall-enclosed vineyard and commanding Château de Clos de Vougeot. Film buffs and gourmands will recall Clos de Vougeot 1845 was the featured wine in the exquisite film Babette’s Feast. 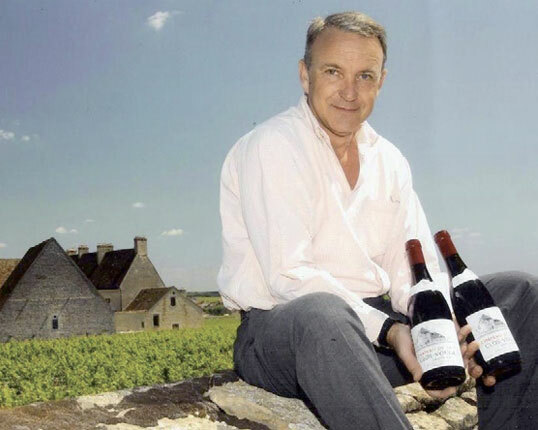 The largest owner of Clos Vougeot with 6ha of vineyards located in the middle and close to the north wall of the Clos Vougeot and their winery within the Clos Vougeot itself, Francois Labet, proprietor of Château de la La Tour, will be presenting an outstanding vertical of their old vines Clos-Vougeot, planted in 1910. There are only 30 places for this brilliant and unprecedented tasting, moreover at the nominal price of SGD$80 per person – be quick and Book Now! 9.30am 9th April 2011 at St. Regis Hotel, Boardroom 4.